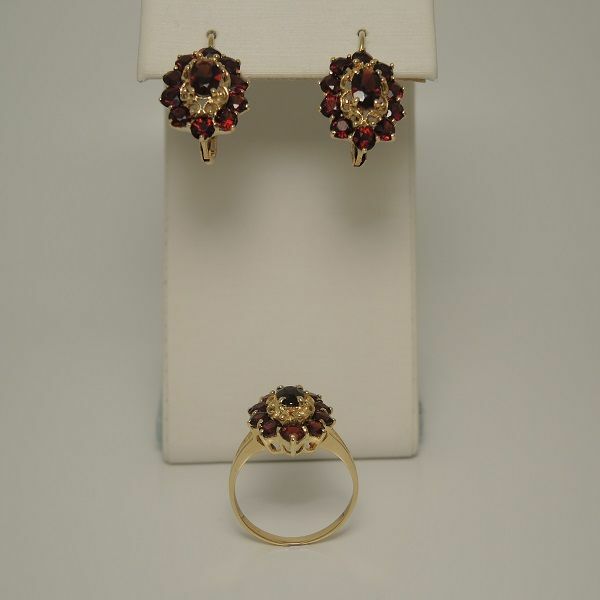 18kt gold set, made by a ring and a pair of earrings with garnets. 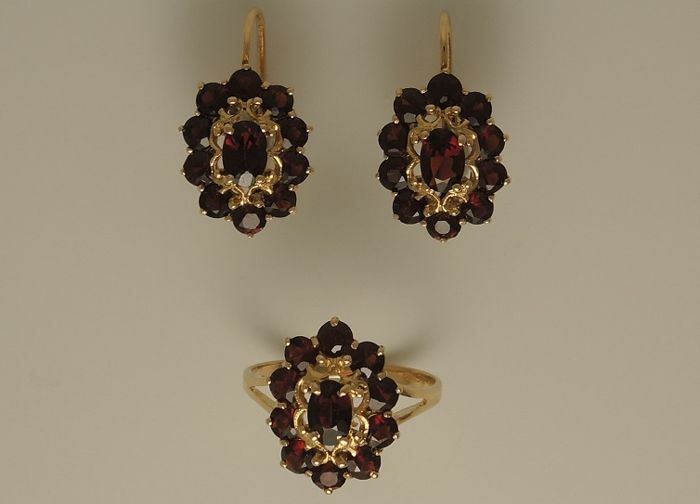 Each jewel has an oval faceted garnet in the center, surrounded by ten brilliant cut garnets. 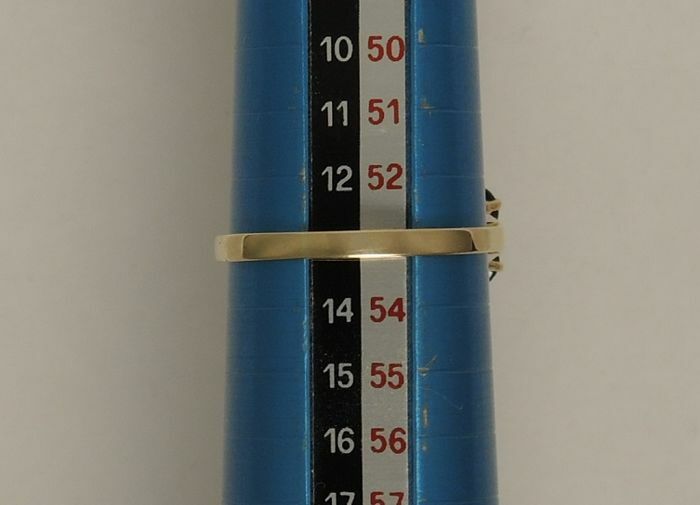 The weight of the ring is 3,30 gr. 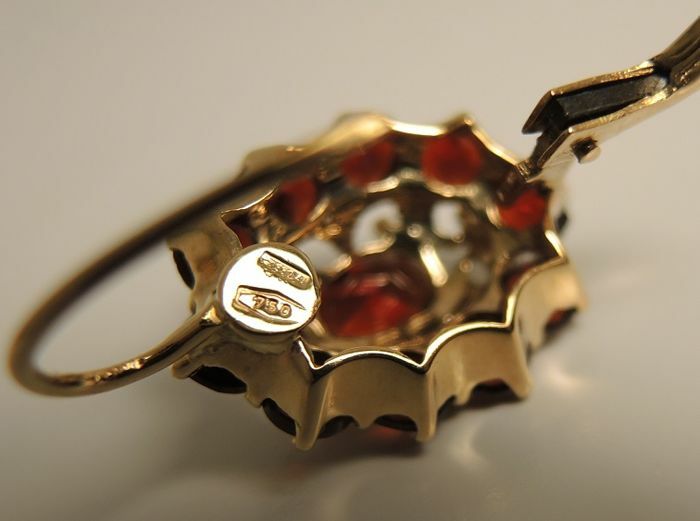 The size is 53 (almost 17 mm diameter; 13 Italian size). 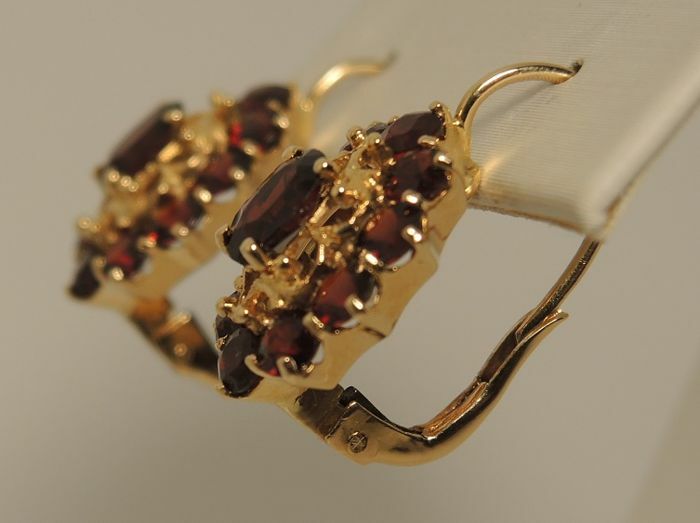 The earrings have a lever-back lock and their weight is 5,30 gr. The color of the stones in the photos may appear different than reality, due to lighting, magnification, and quality of the screen. 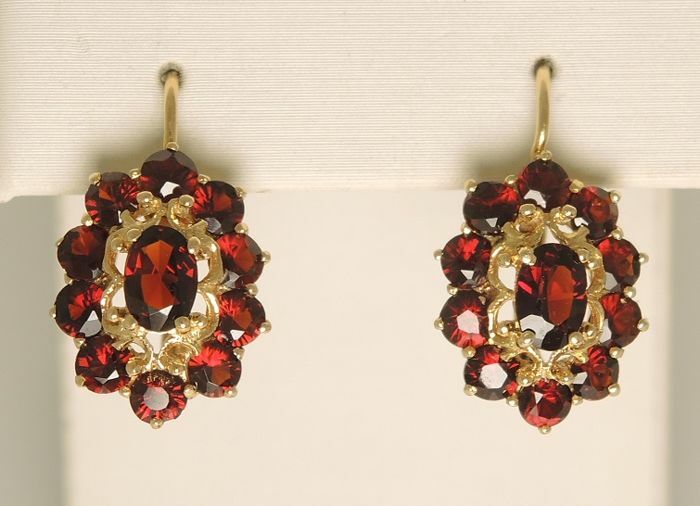 I’m not aware if eventually the garnets have been treated to modify the intensity of the color. 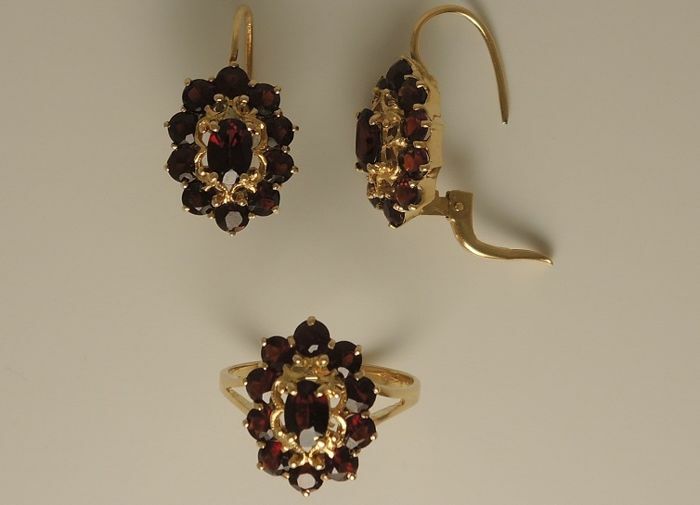 The total weight of the garnets is approx. 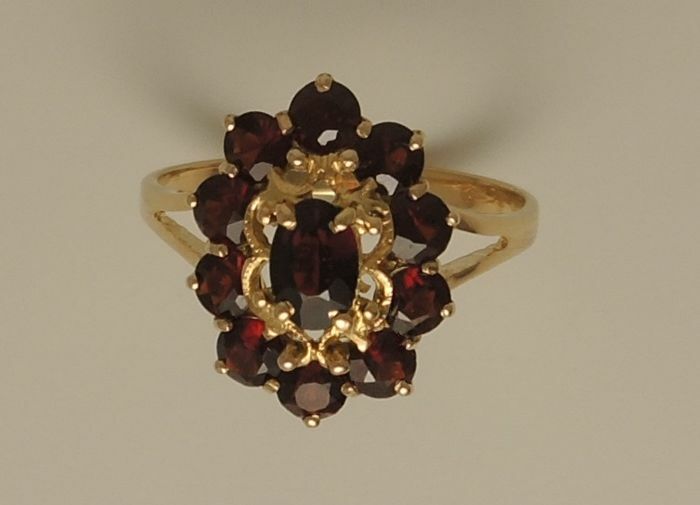 3,40 ct. The total weight of the set is 8,60 gr. 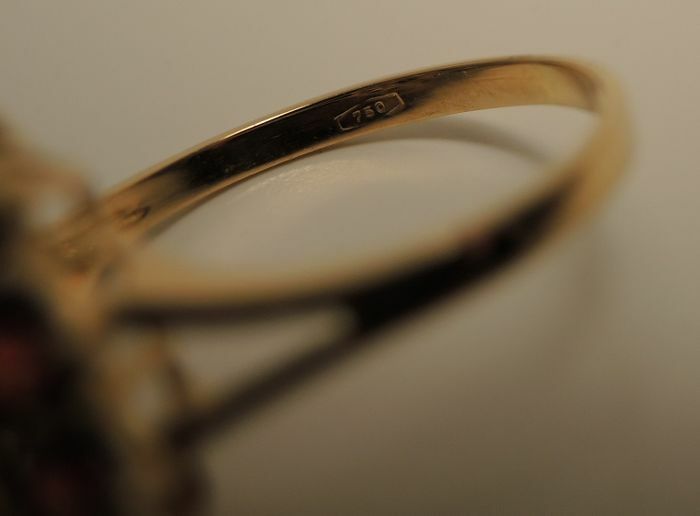 The marks are “750” on the ring; “750” and code number of the factory on the earrings. 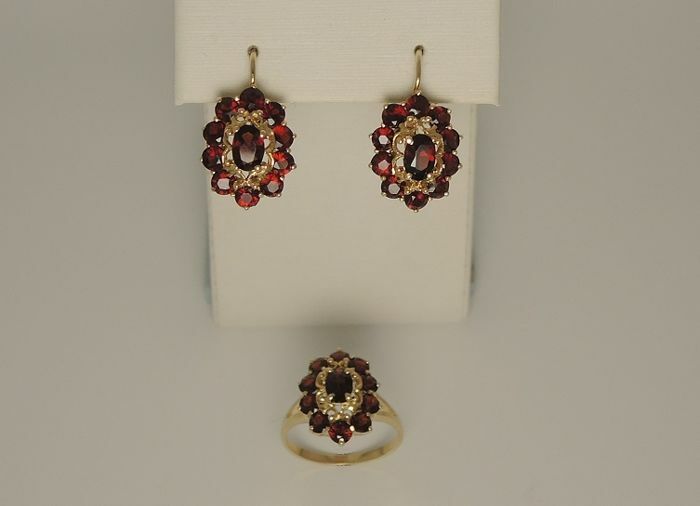 The jewels are used, but they have been duly checked and polished, so they are as new. Shipping with standard registered post.